With the taller half sick I had to jump in quickly and make something yummy. 1 bunch of asparagus, woody ends snapped off and sliced siagonally into 3. Boil pontiacs until just done. Strain and mix in a bowl with mayo, lemon juice, dill and chives. 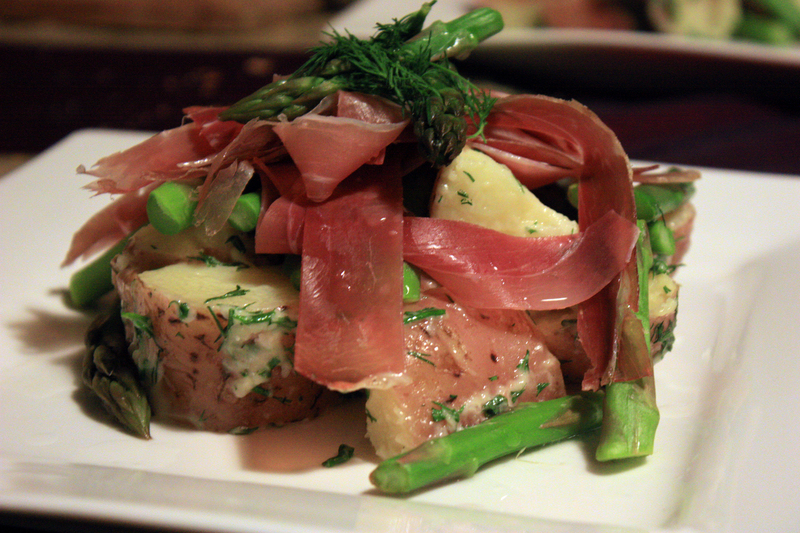 Serve topped with steamed asparagus, prosciutto, a garnish of dill and an extra squeeze of lemon juice.